This year, the Anime Costume Parade will be held on Sunday, April 22nd. 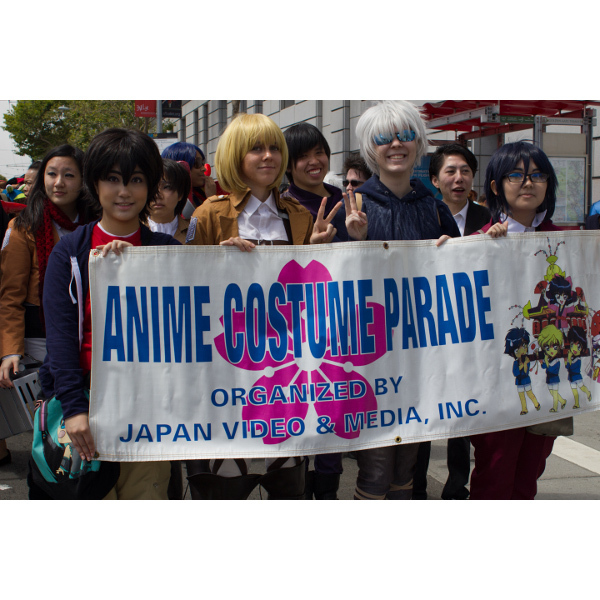 This is your opportunity to dress up as your favorite anime character and march through the streets of San Francisco in the Grand Parade. We will ask some cosplayers to participate in the Anime Costume Showcase at the Peace Plaza Stage from 4:00 to 4:45pm. Sign up to participate in the Anime Costume Parade. For more information on the Northern California Cherry Blossom Festival, click here.